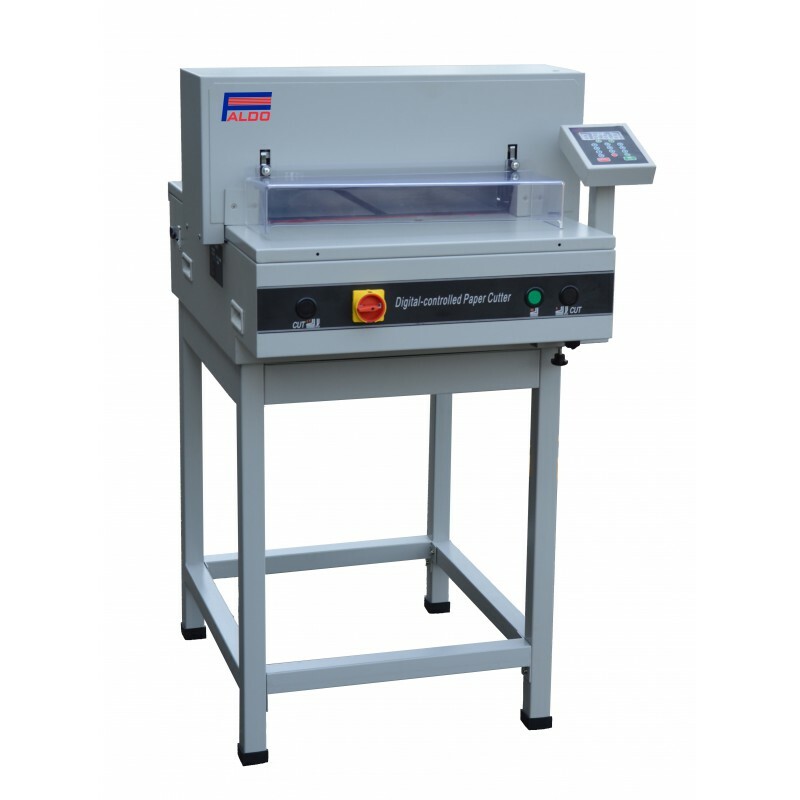 Electro mechanical automatic paper cutter with electric clamp and blade drive. Seperate clampmotor for better clamping. Digital controlled guillotine with clear display. Max. cutting width 46cm, max. 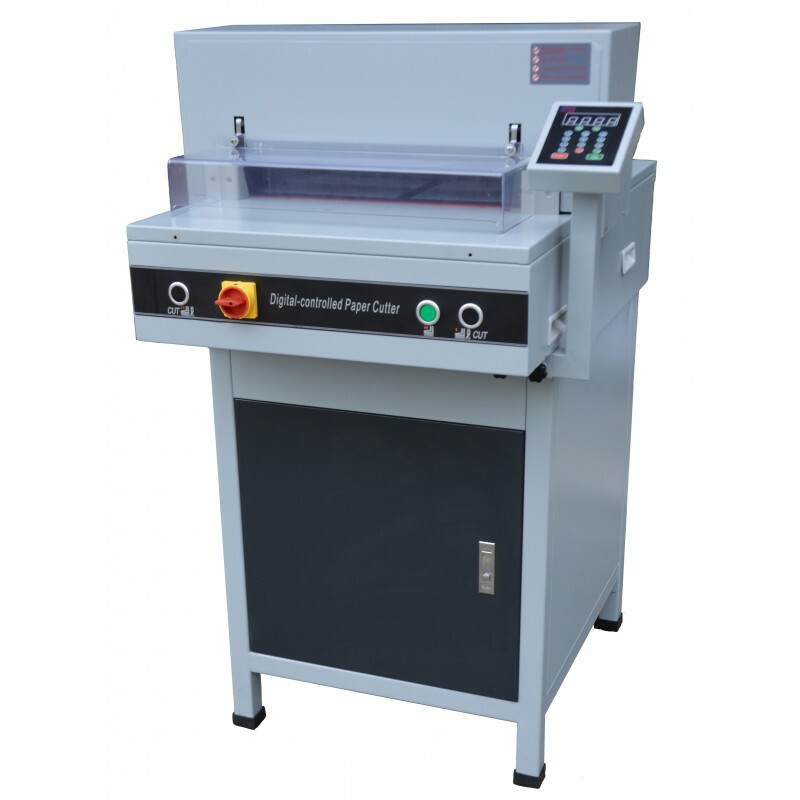 cutting height 5cm. This paper cutter comes standard with cabinet. HSS blade.